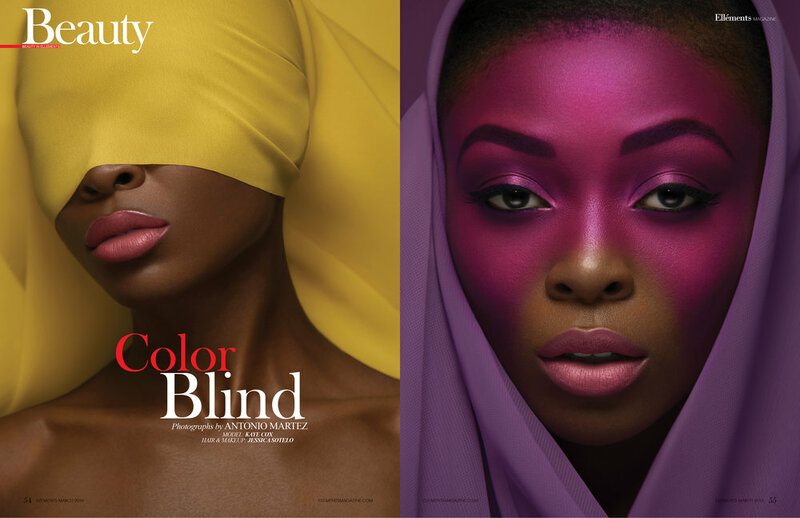 COLOUR BLIND beauty editorial by Antonio Martez, New York Fashion Photographer, was featured in the March 2018 edition of Ellements Magazine. The editorial was a 6 page spread for that edition. COLOUR BLIND beauty editorial by Antonio Martez, New York Fashion Photographer, was featured in the March 2016 edition of Ellements Magazine. The editorial was a 6 page spread for that edition.